In an enclosed car, the possibility of your dog jumping out onto the open road is slim to none. However, no matter how well-trained your four-legged pal may be, stoplights and occasional traffic jams are a golden opportunity to jump out and catch that squirrel they’ve been eyeing for the past few minutes. Your dog is most likely not used to the rules of the road and won’t recognize the dangers of hopping out. Play it safe and always assume that a dog in a convertible may jump out at any stop light. So what should you do? Make sure you set up a form of containment on your pup, whether a dog seat belt harness, carrier, or other measure. This way, you can ensure that your dog stays safely inside your vehicle while also enjoying the fresh air you both love so much. After all, even humans have to wear seat belts, right? When it comes to the happiness and comfort of your canine friend, more space is always better. 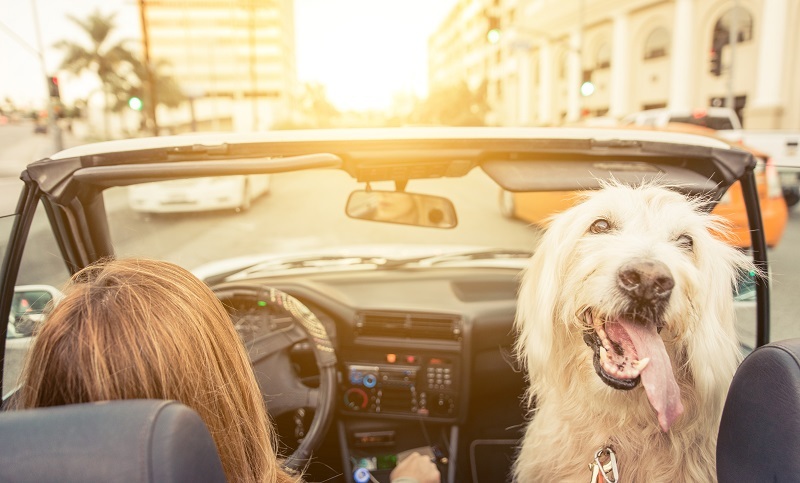 In the case of taking your dog out in your convertible, space is especially important to ensure that your dog doesn’t feel claustrophobic during the ride. They won’t have room to roam around while you’re on the move, so having extra space to find a comfortable position will help them from getting restless. Not only will they feel right at home in a spacious seat, but they’ll also be less likely to look for more space outside of your vehicle. Plus, when they’re tired of taking in the scenery, it’ll be the perfect spot to curl up into a ball and relax. 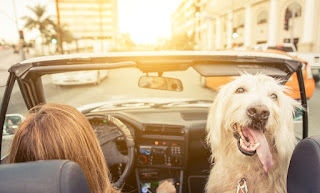 Although the first thing that pops into a person’s mind when they think of the term “convertible” is probably a Porsche of some sort, the best convertibles for dogs are generally the ones that are the most enclosed. Cars like the Jeep Wrangler offer the full convertible experience with the option of keeping the doors and windows in place. Not only will it prevent them from making the great leap outside, but they’ll also be exposed to much less wind that can be harmful for them. While some big dogs can handle a strong breeze, smaller dogs or dogs with floppy ears may not fend so well against the wind. With the constant pressure of the strong breeze beating down on their ears and eyes, it could cause serious damage if they’re exposed for long periods of time. So avoid those long-haul journeys with the roof folded back. While manually pulling up a convertible top may not matter to you, one thing to consider when searching for a good convertible for your dog is an automatic convertible top that can easily be switched on with a press of a button. If your dog gets too warm due to exposure of direct sunlight for long periods of time, you’ll want a quick fix. Not only is it important to give your dog a break from the harsh heat, but this convenience can also come in handy when driving through big construction sites that produce a lot of debris. Being able to easily switch the car from a convertible in a matter of seconds is not necessary but is highly recommended since you won’t always be able to pull over immediately. When taking your dog for a ride, be aware of any possible problems that may arise so you can react appropriately – and quickly. Just like people, dogs can get car sick, too. If anything, dogs are even more prone to car sickness since they’re not used to the long drives. To reduce the risk of a sick pup, take care that your car isn’t making loud noises or driving unsteadily in any way. Although it doesn’t have to be the smoothest car with the most innovative technology, but you definitely want to steer clear of a car that makes a small dip feel like you’re driving over a canyon. Unstable convertibles – and any car – can not only make your dog car sick, but may also frighten them. All in all, a stable, smooth-driving car is the best for any pet lover. Although it’s not exactly the best racing car out there now, this classic convertible was modeled after the original Model T roadster with its bucket-shaped design. This premium hot rodding ride was engineered with excessive horsepower and a redesigned body that made it the original hot rodding vehicle of the century. 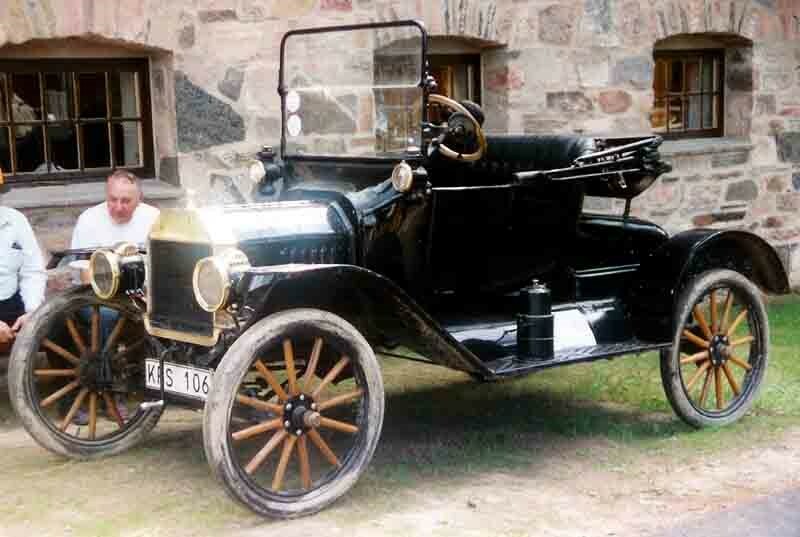 With its antique design and surprisingly speedy capabilities, this convertible is not one to be reckoned with! Known as the epitome of luxury, this convertible was labeled as the ultimate American luxury convertible. With an unusually high sales price, only an extremely small percentage of the population could say that they owned one of these bad boys. However expensive, this car featured some of the most uncommon features back in the day. Engineered with power equipment that was rare for its time, this car had more than its unique good looks to brag about. A more affordable car, this mustang was a great American hit right from its spring debut at the 1964 World’ Fair. 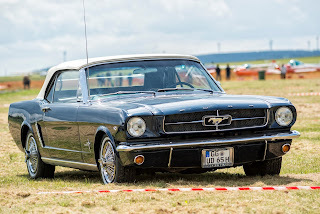 This car was not made to be solely for the affluent for it was described as being a “pony car”, a car that had all the luxury of a nice car without the big price sticker. This affordable, compact, and stylish car was originally available with four engines. 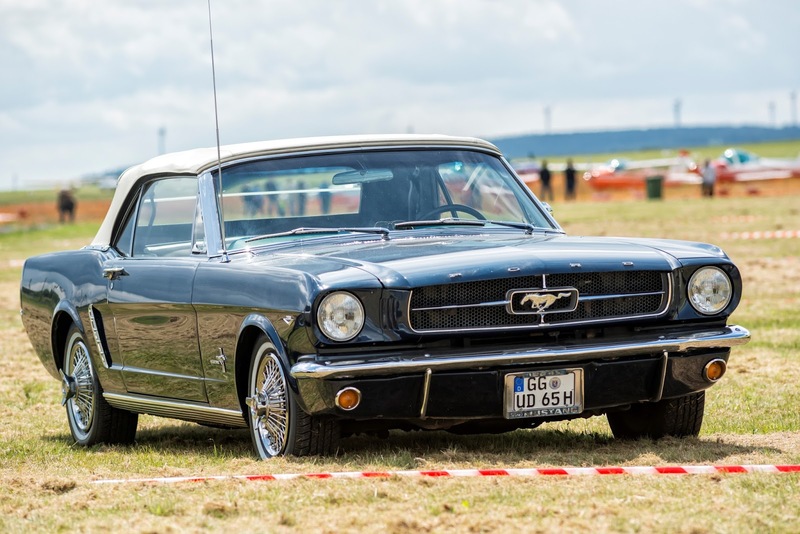 With its unique style, it paved the way for many other “pony cars” to come to the market. A true American icon, this convertible is one for the books. This lightweight sports car was introduced right when Corvettes were starting to make a name for themselves in the sports car industry. 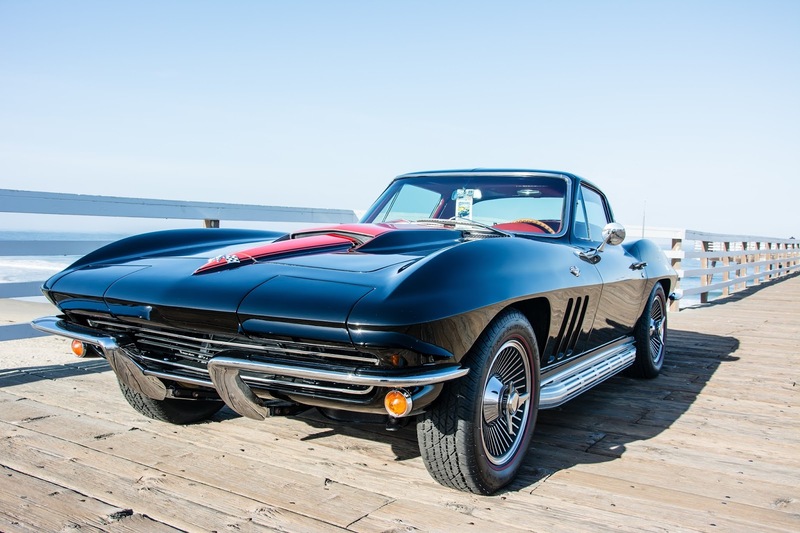 Stuck in the middle of a stand-still for Corvette, this 1967 model was practically thrown into the market to appease the anxious crowds that were waiting for newer models. Having to delay the release of third generation Corvette Shark, this model was still quite the crowd pleaser. Its lack of power equipment for windows, steering, and brakes allowed it to be a whopping 150 pounds lighter than normal sports cars. However unprepared, there’s no question that this convertible was a hit nonetheless. Not all convertibles are race cars. 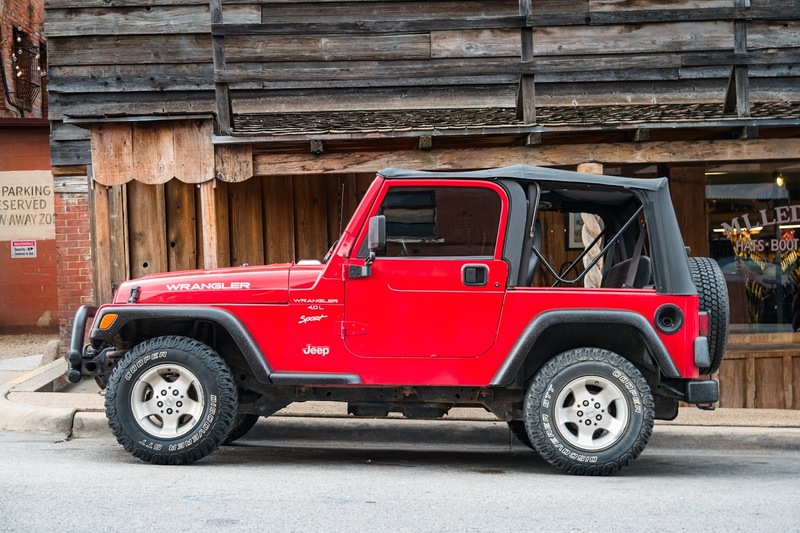 The Jeep Wrangler is one of the most famous convertibles out there as you can remove the ceilings, doors, windows, and more to transform it into the ultimate outdoor vehicle. Made to withstand extreme conditions, this vehicle is known to be the typical adventure vehicle for those that enjoy off-roading, riding along rocky mountains, or even just cruising alongside your favorite beach highway. 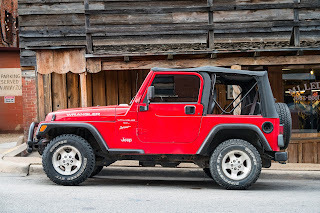 Surprisingly enough, many may not even consider the Jeep Wrangler as a convertible despite its capability to convert into almost a completely different vehicle. A classic for many years, this is quite literally the ultimate convertible car. What are your favorite American convertibles? Share your thoughts in the comments below!